The proximate, mineral and sensory properties of pasteurised and unpasteurised fresh and dry yellow tiger nuts and their milk extract were evaluated. Milk from samples of fresh and dry tiger nuts were extracted separately by wet milling and expression before pasteurisation. The moisture, protein, fat, ash, crude fibre, carbohydrate and energy content of the tiger nuts varied from 14.36 – 47.98%, 5.54 – 6.85%, 1.31 – 1.97%, 5.28 – 4.60%, 26.09 – 24.60%, and 296.72 – 434.00 KJ/g respectively. The total sugar content was 9.82 – 11.85% for pasteurised tiger nuts and 10.09 – 12.64% for unpasteurised nuts while reducing sugar ranged from 3.06 – 4.82 and 3.67 – 5.01% respectively, for pasteurised and unpasteurised tiger nuts. Cu, Fe, Zn, Ca, Mg and K content ranged from 0.09 – 0.13, 11.00 – 13.74, 0.05 – 0.06, 1692.94 – 1921.99, 265.12 – 794.57 and 1048.34 – 1181.67 mg/100g respectively. The moisture, protein, fat, ash, crude fibre, carbohydrate and energy values of the milk extract varied from 76.93 – 81.92%, 9.84 – 11.41%, 3.09 – 5.01%, 0.01 – 0.03%, 0.01 – 0.11%, 2.74 – 7.16% and 373.22 – 488.68 KJ/g respectively. Total sugar content was 9.63 – 11.64 and 10.81– 12.23% respectively, for the pasteurized and unpasteurized milk while the reducing sugar ranged from 3.42 – 4.13 and 4.14 – 4.49 %. Cu, Fe, Zn, Ca, Mg and K content varied from 0.02 – 0.03, 3.67 – 4.34, 0.02 – 0.03, 606.98 – 669.32, 86.88 – 289.71 and 349.45 – 393.89 mg/100g respectively. Dry tiger nut and its milk had significantly (P≤0.05) higher proximate, sugar and mineral contents. Pasteurization significantly (P<0.05) increased the ash, moisture, carbohydrate, Cu, Fe and Mg with decrease in fat, protein and sugar contents of the milk. This study has revealed that pasteurization contributed to significant increase in nutrient content of the tiger nuts and its milk. Keywords: Tiger nut, milk, pasteurisation, proximate composition, mineral, sensory properties. 2. Belewu MA and Belewu KY. Comparative physicochemical evaluation of tiger-nut, soybean and coconut milk sources. International Journal of Agriculture and Biology. 2007; 9(5): 785-787. 4. Okafor JNC, Mordi JI, Ozumba AU, Solomon HM and Olatunji O. “Preliminary studies on the characterisation of contaminants in tigernut (Yellow Variety),” NIFST 2003. Proceedings of 27th Annual Nigerian institute of Food science and technology (NIFST) conference, 13-17, Nigeria, pp. 210-211. 6. Ukwuru MU, Omachona, LJ, & Onokah, N. Production and quality assessment of. tiger nut (Cyperus esculentus) imitation milk during storage Journal of Food Science and Technology 2008; 45, 180 – 182. 7. Ojobe TO, and Tempo VJ. “Amino acid composition of tigernut tubers (Cyperus esculentus),” Nigerian Journal of Science and Biotechnology 1983; 2:35-38. 9. Oladele AK and Aina JO “Chemical composition and functional properties of flour produced from two varieties of tigernut (Cyperus Esculentus),” African Journal of Biotechnology 2007; 6(21) 2473-2476. 12. Nwobosi PNU, Isu NR and Agarry OO. 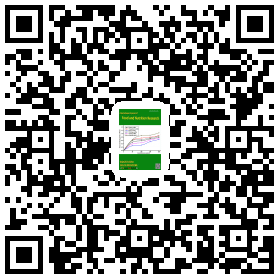 Influence of Pasteurization and Use of Natural Tropical Preservatives on the Quality Attributes of Tigernut Drink During Storage. International Journal of Food and Nutrition Science 2013; 2(1):27 – 32. 15. Sun-young P, Marsh KS, Jenny YS and Yun SE. A study on a processing method to improve soymilk quality. Proceedings of pre-congress internet conference, May 8, Dec. 2003; 1: 31-32. 16. Navarro JL, Schwartz ZM, Gasque F, Alberola J, Perez R. and Lafuente B. Influencia de la e’oca de recoleccion de la chufa (Cyperus esculentus L.) Sobre las carateristicas analiticas y sensoriales de la horchata. Revista de Agroquimica y Tecnologia de los Alimentos 1984; 24, 199-203. 17. Marouf AAS and Elmhal SI. Monitoring pH During Pasteurization of Raw Cow’s Milk using Nd:YAG Laser. International Journal of Advanced Research in Physical Science (IJARPS) 2017; 4(12): 1-4. 18. Udeozor LO and Awonorin SO. Comparative microbial analysis and storage of tigernut-soy milk extract. Austin Journal of Nutrition and Food Science 2014; 2(5):1026. 19. AOAC. Official Methods of Analysis of the Association of Analytical Chemists. 19th Edition. Washington, DC, USA. 2012. 20. James CS. Analytical chemistry of foods. Seale-Hayne. A Chapman & Hall Food Science Book, Aspen Publishers, Inc. Gaithersburg, Maryland. 1999. 118-119. 21. Watts BM, Ylimaki GL, Jeffery LE, Elias L G. Basic sensory methods for food evaluation. The International Development Research Centre, Ottawa, Canada. 1989; 71-72. 22. Chukwu MO, Ibiam OFA and Okoi A. Studies on the fungi and phytochemical and proximate composition of dry and fresh tiger nut. International Research Journal of Biotechnology 2013; 4(1): 11-14. 23. Nwaoguikpe RN. The phytochemical, proximate and amino acid compositions of the extracts of two varieties of tiger nut (cyperus esculentus) and their effects on sickle cell hemoglobin polymerization. Journal of Medicine and medical sciences 2010; 1(11): 543-549. 25. FAO. Food and gricultural Organization. Food and Nutrtion Technical report series 1. Human energy requirements: report of a Joint FAO/WHO/UNUExpert Consultation. Rome 2004; 17 -24. 27. Miroslawa K, Porzuck H and Malgorzatoe, K. Effect of Heat Treatment on chemically Modified proteins of Legume seeds. Journal of Food Chemistry 1997; 58 (3): 221. 28. Okorie SU and Nwanekezi EC. Evaluation of proximate composition and antinutritional factor of Cyperus esculentus (Tiger nut) as influenced by boiling. Journal of Environmental Science, Toxicology and Food Technology (IOSR-JESTFT) 2014; 8: 70-73. e-ISSN:2319-2402, p-ISSN:2319-2399. 29. Alegría-Toŕan A, Farré-Rovira R. Horchata y salud: Aspectos nutricionales y dieteticos. In: Fundación Valenciana de Estudios Avanzados, editor. Jornada chufa y Horchta: Tradición y Salud. Valencia, Spain: Consellería de Agricultura, pesca y Alimentacíon. 2003; 55-70. 32. Abulude FO, Lqual LO, Ehikharmery G, Adesanya WO and Ashafa SL. Chemical Composition and Functional Properties of some Pours from the Coastal Area of Ondo State, Nigereia. 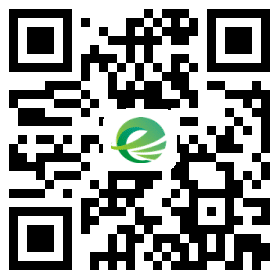 Journal of Environmental, Agriculture and Food Chemistry 2006; 5, 1235-1240. 34. Möttönen M and Uhari M. Use of micronutrients and alternative drugs by children with acute lymphoblastic leukemia. Medical and Paediatric Oncology 1997; 28(3), 205-208. 35. Fagbuaro O, Oso JA, Edward JB and Ogunleye RF. Nutritional status of four species of Giant land snails in Nigeria. Journal of Zhejiang University of Science 2006; 7(9), 686 – 689. 37. Berdanier CD and Zempleni J.. Advanced nutrition: macronutrients, micronutrients, and metabolism, London, CRC Press. 2009; 440, 442-449, 459-462.